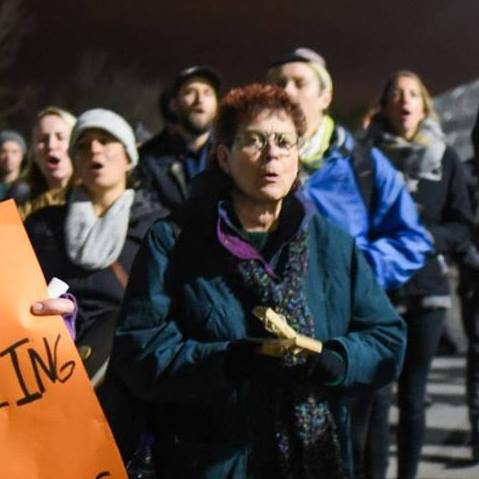 Governor Brown has several bills on his desk that speak to California voters’ commitment to move away from punitive punishments and closer to community based car, as a model for public safety. Included in that stack of criminal justice reform legislation is SB 394 which moves to end life without the possibility of parole (LWOP) as a sentence for youth. 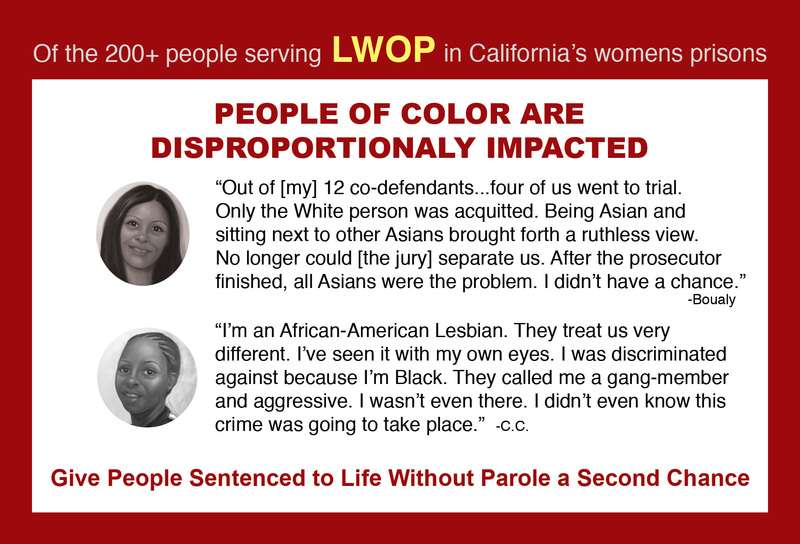 We take this victory as a step in the right direction and are asking you to join with California Coalition for Women Prisoners (CCWP) in a statewide campaign to DROP LWOP and secure sentence commutations for all those serving Life Without the Possibility of Parole (LWOP). LWOP is an inhumane sentence which denies people the possibility to rehabilitate and move towards reaching their highest potential. Will you join us? We are looking for organizations and individuals to sign on to the letter below as a first step in expressing support for this campaign. Please feel free to contact info@womenprisoners.org or (415) 255-7036 x 4 with any comments, questions, or concerns.